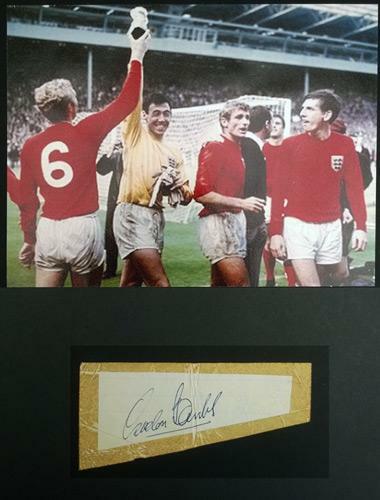 Welcome to our 1966 World Cup Memorabilia page with autographed / signed FOOTBALL MEMORABILIA from England's FOOTBALL LEGENDS & Wembley Stadium heroes. 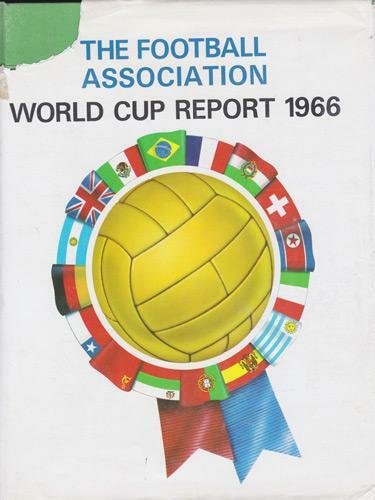 The 1966 FIFA World Cup was held in England from 11 to 30 July. 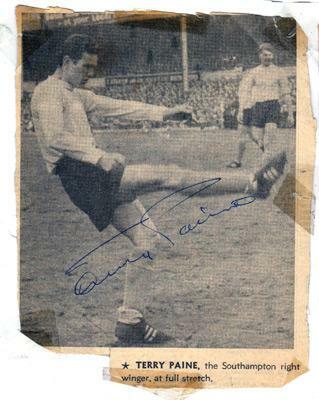 England beat West Germany 4–2 in the final - winning the Jules Rimet Trophy. 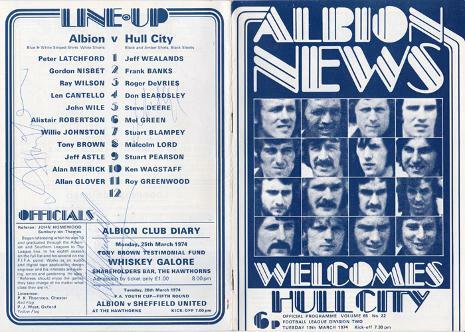 Signed 1974 West Brom match day programme "Albion News." 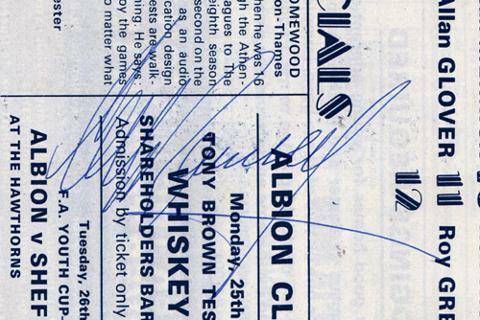 Autograph collected in the main stand during the game. 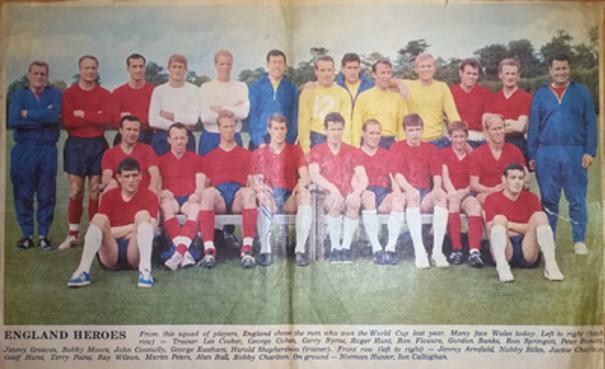 signed England 1966 World Cup Finals squad newspaper double-page pic: "England Heroes." 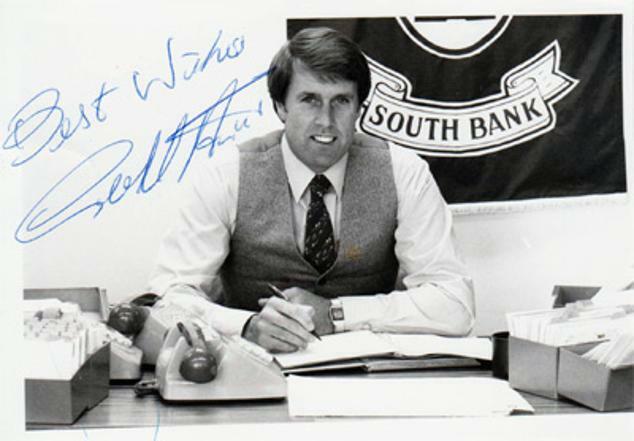 signed B&W photo sitting at his desk. 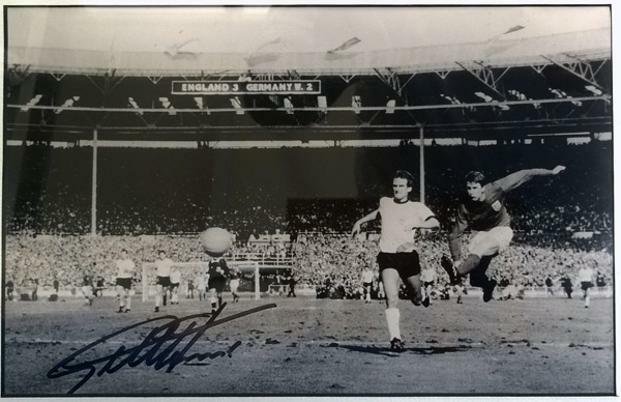 signed book "1966 And All That: My Autobiography"
Signed & framed B&W action photo of hat-trick hero Hurst scoring his third goal in the 4-2 World Cup final win over West Germany in extra time. Framed under glass. 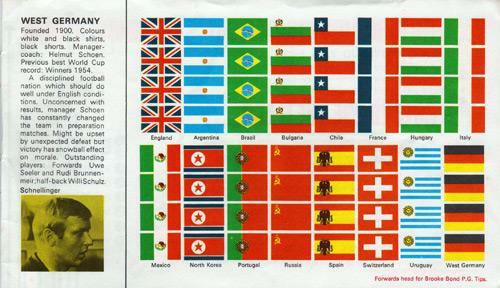 Photo approx A4 size. 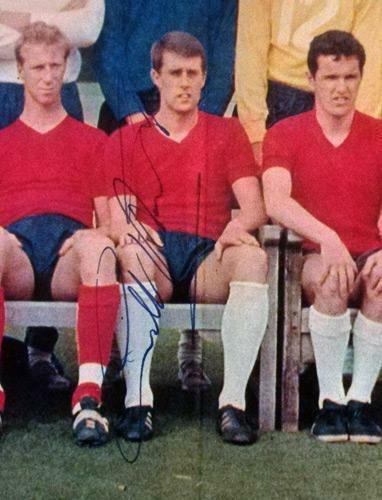 Signed in the 1970s. 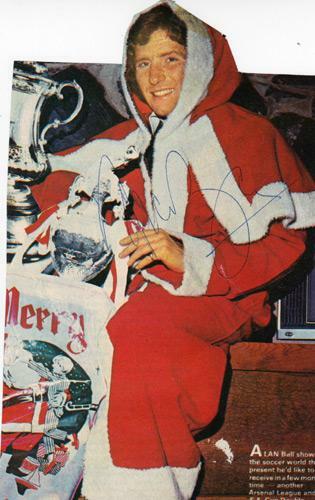 Signed Father Christmas magazine cut-out. Approx size: 13 x 21 cms. 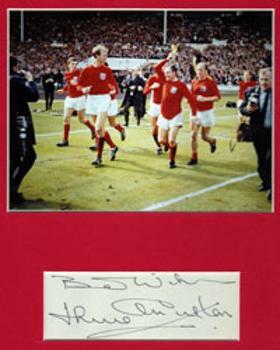 Autograph + Pic of Charlton celebrating the World Cup final victory over West Germany with brother Bobby Charlton, Alan Ball, Martin Peters & George Cohen - with the Jules Rimet Trophy. 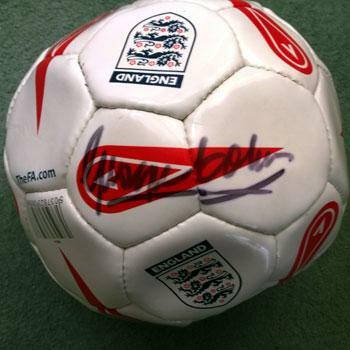 Signed England / FA football. 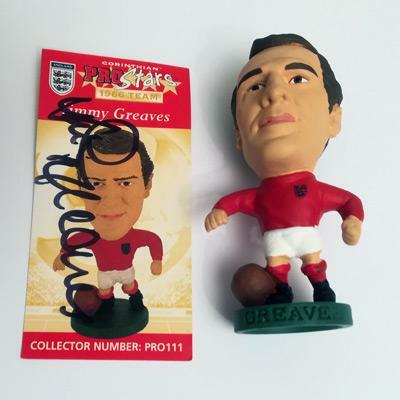 Signed Corinthian Pro Stars 1966 Team soccer card + mini-figure (PRO111). 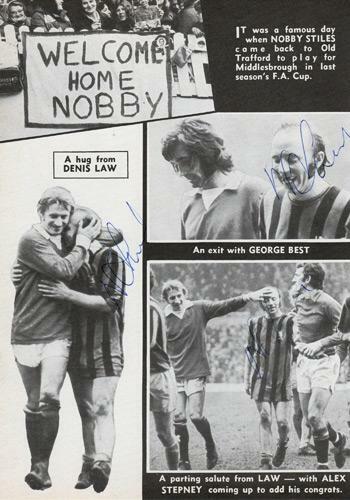 Signed Man Utd / Middlesborough book page with three separate autographs from Nobby. 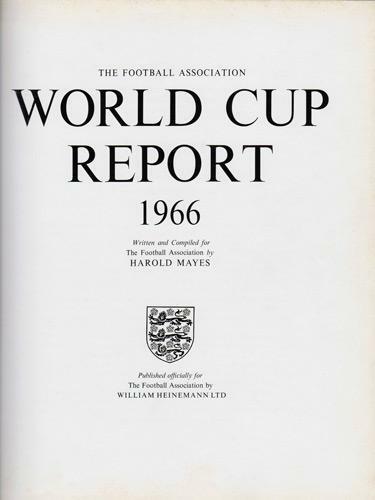 Highly collectable: The Football Association Official Publication - "World Cup Report 1966" edited by Harold Mayes for Heinemann. 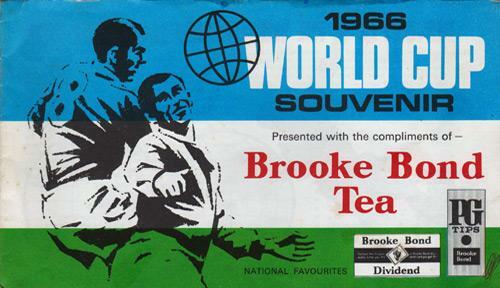 Includes full match reports of all 32 games at the World Cup Finals with stunning action photographs from every stage of the tournament. 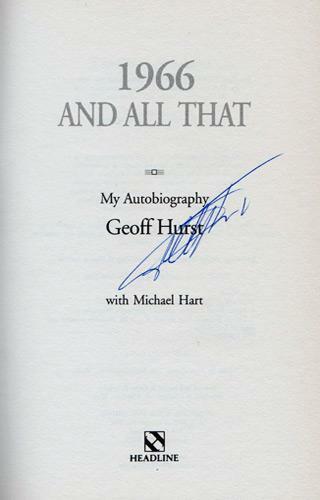 309 pages. 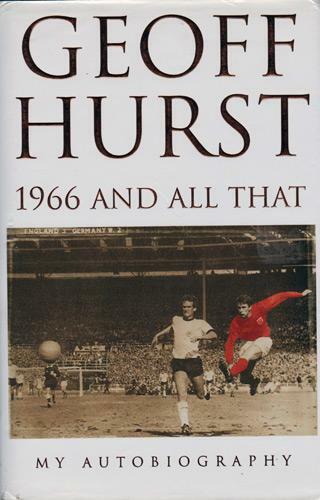 Original dust jacket has some damage and spine has partially separated on inside front cover. But in reasonable overall condition. Please Contact Us for a more detailed description. 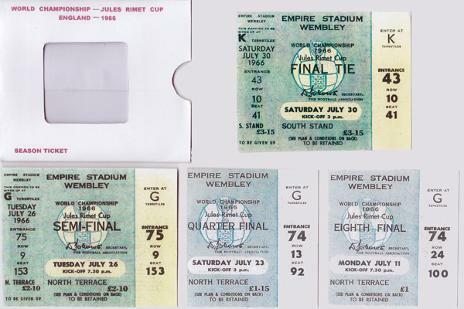 Four replica Empire Stadium Wembley tickets for the World Cup Final, Semi-Final, Quarter-Final & Eighth Final + card ticket cover. 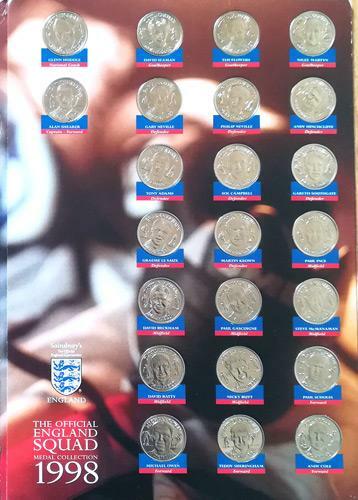 23 metal medals / coins in the original collectable booklet. 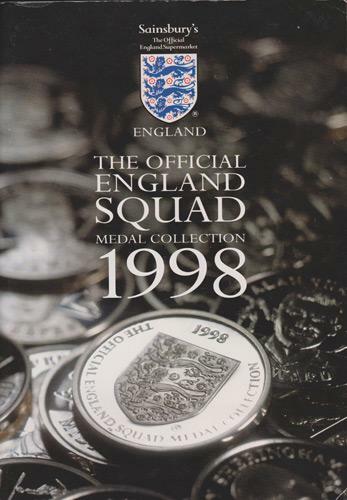 Players include Alan Shearer (captain), David Beckham, Paul Gascoigne, David Seaman and manager Glenn Hoddle.